Dr. Gunther Mävers was a founding member of the law firm michels.pmks Rechtsanwälte Partnerschaft mbB, in September 2014. His previous firm was Mütze Korsch Rechtsanwaltsgesellschaft mbH where he worked as a lawyer from 2004, becoming a partner in 2008. Prior to this, from July 2002 Dr Mävers was a lawyer at the firm PricewaterhouseCoopers Veltins Rechtsanwaltsgesellschaft mbH (now known as Heussen Rechtsanwaltsgesellschaft mbH). 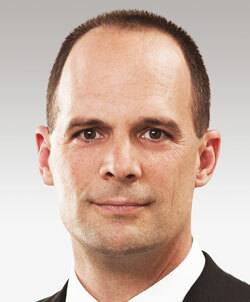 Since the beginning of his law career Dr Mävers has been active in all fields of labour and employment law. He specializes in the assistance of international companies, especially from the Anglo-American world, concerning cross-border matters including immigration law and related labour law issues. Thanks to his world-wide network of independent partners Dr Mävers is able to coordinates immigration and labour law matters for his clients abroad by working with foreign counsel. Amongst the many different types of company that he assists there are many from the IT sector. Dr. Mävers has accumulated considerable experience in the field of corporate immigration law and was acknowledged in The International Who’s Who of Corporate Immigration Lawyers, 2014, as one of the leading global corporate immigration lawyers in Germany. Dr Mävers has published widely and full details of his publications can be found in his profile on his firm's website.